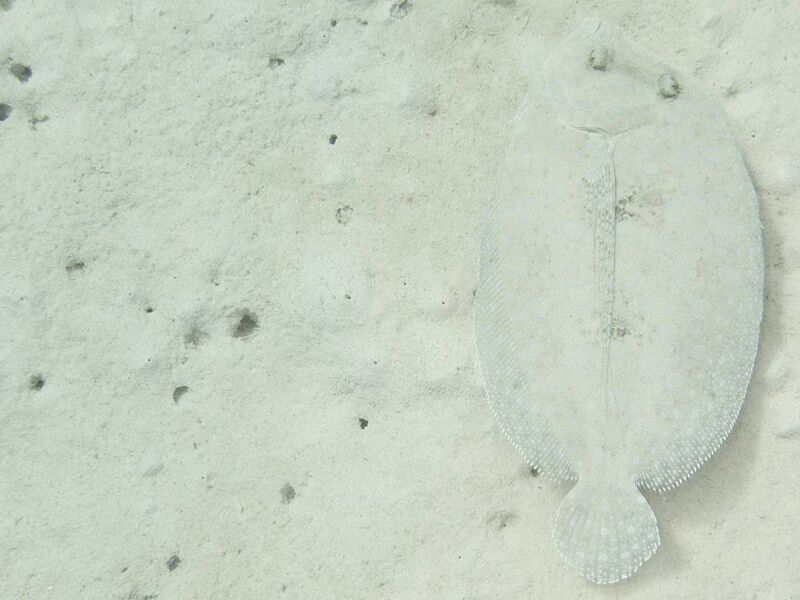 Photo of a white flounder camouflaged on a white seabed. Flounders are no longer floundering! These flatfish fisheries are one of many that have fully recovered after more than a decade of strict regulation from the U.S. federal government.